Children of the Amazon follows Brazilian filmmaker Denise Zmekhol to the heart of the Amazon rainforest, in search of the indigenous children she photographed 15 years before. The film invites the viewer to see through the eyes of these inspiring, remarkably resilient people, whose lives have been transformed by a road that was carved through their forest home by an outside world. Poetic and visually stunning, this film engages the senses and sympathies as global issues take on a profoundly human perspective. A São Paulo native, Denise Zmekhol studied social communication and journalism in Brazil, and completed her studies in photography, film and broadcasting at San Francisco State University. 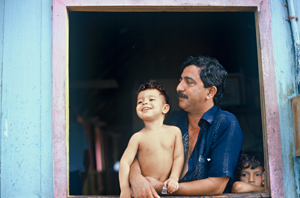 When she returned to Brazil in 1987, Zmekhol assisted on numerous documentaries filmed in the Amazon and her photo exhibition, also titled Children of the Amazon, included the last photographs of the renowned rubber tapper and environmental activist Chico Mendes before his assassination. Her photographs of Mendes have appeared in Time Magazine and other publications worldwide.